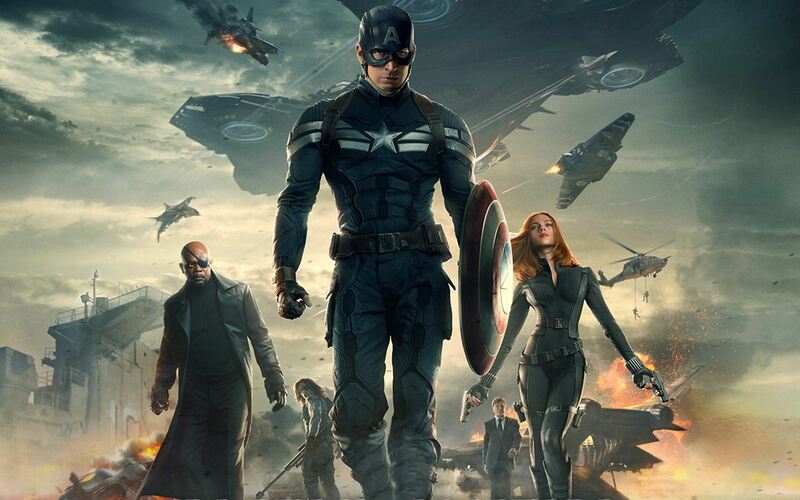 Captain America: The Winter Soldier picks up with Cap, Steve Rogers, still trying to get a grip in the new world. The film opens with Steve meeting Sam Wilson who will become The Falcon. I love that their chemistry is immediate, they already have a connection and that really plays throughout the film. There’s also an absolutely heartbreaking scene that involves Peggy Carter as an elderly lady. Having recently just watched the first Captain America film, this scene really got to me. It quickly becomes apparent the Steve is having some difficulty working within the confines of S.H.I.E.L.D. dealing with their compartmentalization of information and the new Helicarrier project Insight. This is where the film takes a turn, after an assassination attempt on Nick Fury and then Cap himself being attacked, it’s revealed S.H.I.E.L.D is heavily compromised by HYDRA. Captain America: The Winter Soldier is such a well put together action thriller film set in the MCU. The Russo brothers did a fantastic job constructing this story and doing something really interesting with S.H.I.E.L.D. and it’s relationship with HYDRA. We also have one of my favorite characters and villains in The Winter Soldier. Alexander Pierce is the real villain of the film, pulling the Winter Soldiers strings and Robert Redford is fantastic in the role. The Winter Soldier keeps showing up and causing absolute chaos and is very intimidating as a villain. The scene where he catches Steve’s shield and throws in back at him, so good. What makes him even better, is his identity, James ‘Bucky’ Barnes. When we get the backstory of what actually happened to him, he becomes this tragic, tortured soul who we as an audience really care about. This is an adaptation of one of Captain Americas best comic storylines and it is so very well done. Relating to bucky, the sound design surrounding his character really stood out to me in this film. The sound design of his metal arm is incredible, I believe it’s got some granular layers in there, though I could be wrong. It helps his metal arm sound very powerful and gives it real mechanical weight. Another notable element is the sound design of the score. There’s a sample of a scream that plays when the Winter Soldier shows up gives him a real horror and menace that suits his character. As a side, the score for this film is so good. Don’t get me wrong, MCU always have good music accompanying the film but this is the first time it really grabbed me. The Winter Soldier’s theme, in particular, is what made me download the whole thing…yes apparently I’ve become a total Bucky fanboy. This film really marks a new direction of the MCU. After a small stumble in Thor: The Dark World, this film elevates the MCU to a whole new level of storytelling and just quality. The Winter Soldier has serious ramifications for the MCU world and it’s characters. The whole design of this film is just fantastic from top to bottom, even though I just watched it, I could be perfectly happy watching it again.